Realty major DLF’s sales bookings are likely to jump more than two-fold to around Rs 2,400 crore this fiscal year on rising demand of completed housing units. 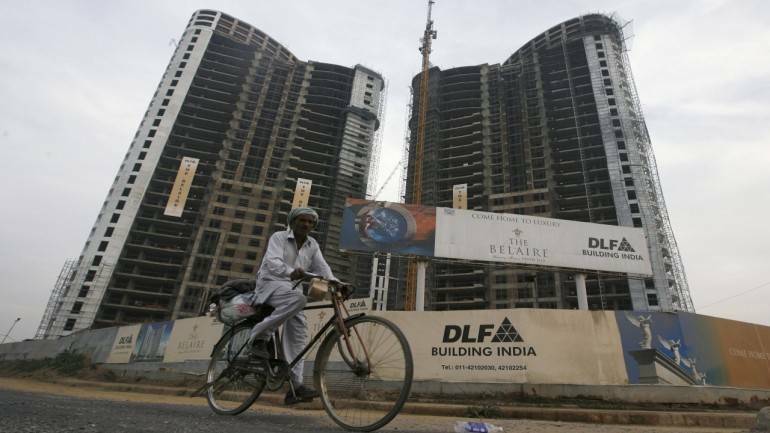 DLF, the country’s largest realty firm in terms of market capitalisation, also expects to sell its finished housing inventories worth Rs 12,500 crore in the next 3-5 years, depending on the market conditions, it’s group CFO Ashok Tyagi said. “Our quarterly sales bookings are around Rs 600 crore. So, we should exceed our sales guidance of Rs 2,000-2,250 crore for this financial year,” he told PTI in an interview. Tyagi highlighted that the company has already achieved a net sales of Rs 1,788 crore during April-December period of the 2018-19 fiscal and expected momentum to continue in the current quarter. The realty firm had achieved sales bookings of only Rs 1,000 crore during 2017-18 as it suspended sales for six months to comply with the provisions of new real estate law RERA that came into force from May 2017. On unsold stocks, Tyagi informed that it has come down to about Rs 12,500 crore from Rs 15,000 crore few quarters earlier. “At the current pace, we should be able to sell them in 5 years but if demand improves, these inventories can be cleared in 3 years,” he said. The bulk of its unsold housing units are at Gurugram. Talking about impact of GST reduction, DLF’s CFO said the company only has completed housing units for sales, which are anyway exempted from GST. On overall industry, Tyagi said the withdrawal of input tax credit could squeeze profit margins of developers if they do not increase prices. The GST on cement is as high as 28 percent. The GST Council has decided to cut rate on affordable homes to 1 percent without input tax credit (ITC) from earlier 8 percent with ITC. The GST on under-construction flats, which is not under the affordable housing segment, has been reduced to 5 percent without ITC from earlier 12 percent with ITC. During the third quarter, DLF had reported a 92 percent drop in its consolidated net profit to Rs 335.15 crore because of an exceptional profit in the year-ago period from promoters stake sale in rental arm to GIC. Its net profit stood at Rs 4,091.27 crore in the year ago period. .
Total income, however, rose to Rs 2,405.89 crore during October-December quarter of 2018-19 fiscal year from Rs 1,855.21 crore in the corresponding period of the previous year.